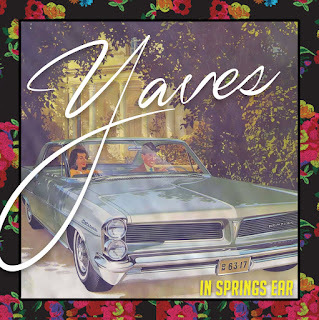 “In Springs Ear” by Yaves is being released on 5/25/16. It’s an excellent final installment to the EP series with the four season’s theme. We’ll just call it the “Yaves In Ya Ear All Year” EP series. Before we go forward, let’s take a look back real quick. The series kicked off in 2011 with “In Summers Ear” and was packed with good music that’s still relevant today. Then in 2012, “In Autumns Ear” came out and brought some heat for winter. In 2013, the full length “Favor Over Fury” album was released, as declared in the previous two EP’s. After a two year nap, Yaves released “In Winters Ear” in 2015. He then proceeded to finish off the “Prince Among Thieves” mixtape series with session 3 (PAT3) and really honored his mother, giving her ministry and testimony a platform in her own voice. On each project, there’s passion without having to be and sound turnt up, with lyricism that isn’t forced in any way. It just flows. There have been numerous features, heavy issues tackled, bangers and some smooth grooves over the last 5 years. You can hear progression and growth through the music. Now, right in time for summer 2016, Yaves is releasing “In Springs Ear.” It delivers a variety of songs, and continues to tackle spiritual and social issues with some booming tracks and some jazzy J. Rawls sounding smooth tracks. I’m just going to give little review of each song. 1. “In Springs Ear” ft Heather Anderson – Intro song to gives you an idea of where Yaves is in this season. Almost a reflection song for him to look back over the series and last couple of years. Not a booming beat, but a smooth track that allows you to reflect on the lyrics taking center stage. The tag line changed slightly on “In Winters Ear” to “I’m in summers ear, autumns too. Got heat for the winter and when I’m through… you know I’m never through.” I for one am so glad he’s not through dropping gems. 2. “April Showers” ft Dwight Junior & J. Rhoadan – This song deals with a mixture of spiritual and social issues at moments with Yaves comfortably riding the beat and delivering his normal barrage of dope lyrics. 3. “Booming” – This is one of my favorites on the EP. I love the hook talking about discipleship. The intensity levels go up and down in this song too, with Yaves giving a simple hook and then tearing into the verses ferociously. 4. “Fairytale” ft Selah the Corner & Fred Council – I was excited to see this feature, because Selah is one of my favorite artists. He and Yaves paint a picture of how a lot of cats today are living in everyday fairy tales. Fred Council is a very nice addition that compliments the overall spirit and flow of the song. 5. “Pastel Shades 2.0” ft Keisha Solei and DJ O-sharp – A remake or 2.0 version of the tribute song for his new wife (Congrats!) that was on PAT3. It’s a hip hop song that could be played at a romantic dinner with the vocals and saxophone. Love the sax, by the way. Very nice touch and a beautiful song honoring marriage and wives. 6. “Survival” ft Dre Murray – Love it! As soon as that Bob Marley sample came in, I thought “Oh boy, we got a banger right here!” Dre Murray is another artist I appreciate and love. He goes in on the reggae inspired beat. After he and Yaves tear up the track, there’s (what sounds like) an impromptu jam session that breaks out at the end. It must have done exactly what Yaves expected it to do, because I wanted more! I reached out to him and was pleased to hear that there may be another version with more artists coming in the future. Bottom line… go cop that EP, son! You won’t be disappointed. It’s available on all digital download stores. Visit his website at www.yavesmusic.com for more information and links to download. Welcome to our page! 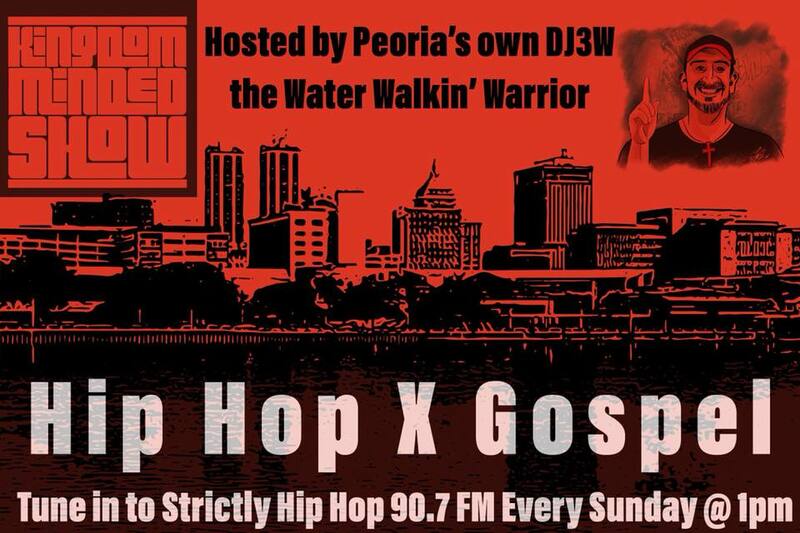 Join us on a musical journey through hip hop and R&B that will encourage, inspire and challenge you to be more Kingdom Minded. Just hit play on the Mixcloud player to begin!